Dr. Mike Robinson: How can we keep our schools safe without turning them into an armed fortress? David J. Grogan: How can we keep our schools safe without turning them into some form of an armed fortress? We can keep our schools safe without turning them into some form of an armed fortress by first enforcing much stricter oversight of the current security measures that are already in place. We can ensure that all schools in Maryland are abiding by the “Lauryn’s Law” This law requires school counselors in Maryland to receive regular training so that they can recognize the signs of mental distress in adolescents. The goal is to create another gateway to preventing suicide among teens across Maryland schools. I suspect that any teen who decides to open fire in a school is consciously or unconsciously expecting to commit suicide. Dr. Mike Robinson: Do you support arming teachers as a first line of defense against armed intruders? David J. Grogan: Absolutely Not under NO CIRCUMSTANCES!!! Dr. MIke Robinson: Are there training and methods educators and school officials can use to protect students and them in cases of an active shooter incident? David J. Grogan: There are lots of “Active shooter” training for government and private corporations. Without terrorizing students, skilled instructors who understand the sensitivity of this matter could offer situational awareness guidance to students, or offer training to teachers who could provide the instructional guidance to students. Dr. Mike Robinson: What steps should law enforcement take if they receive information about a potential threat to a school and to what extent should the public be made aware of the threat? David J. Grogan: This depends on whether students are in or out of school. Law enforcement must access the credibility of the threat using trained experts. If determined that the threat is credible, overt and covert measures must be put in place around the school. Law enforcement must attempt to identify the threat and take appropriate law enforcement measures to stop the actions. Parents should be notified ASAP. Dr. Mike Robinson: What can communities do to prevent school shootings? David J. Grogan: Communities MUST work with law enforcement, guidance counselors, and behavioral health professionals when children display any signs of emotional distress. There Clergy and educators must pay closer attention to students who appear to be troubled or displaying odd or unusual behavior. Dr. Mike Robinson: What can parents do if they suspect their child has anger issues or they are the victims of relentless bullying? David Grogan has spent most his life in Prince George’s County Maryland where he attended and graduated from Oxon Hill High School. From there he attended Bowie State University as a Cooperative Education Program student, where he graduated from with a Bachelor of Science Degree in Sociology. David is also a long time resident of Bowie, Maryland and a retired Federal Law Enforcement Agent with more than twenty-four years of service in addition to six years of active reserve duty military service with the United States Marine Corps. Last, but certainly the most important, he is the custodial parent of his teenage daughter Davienne Jordan Grogan. After being unemployed for several months, pending controversial approval of his retirement, David was forced to do some “deep soul searching”. During this period of introspection, he concluded his talents would be utilized best as a professional public servant and advocate. David decided he would serve as the voice for those with no voice by seeking candidacy for the Maryland State Legislative Seat. Dave’s die-heart passion and youth development. David recognizes the need for MAJOR improvements in the representation of constituents whom reside in the Prince George’s County. These improvements include education, addressing the crime rate, and small & large business economic development. David is also a strong advocate for the modernization of the Family Court System, for which he has written and implemented the “Proposed” Grogan Family Law Reform Act which is currently under review by the Department of Justice. David Grogan is the proven strong leader, advocate, innovator and progressive thinker who can relate to the issues which impact the community and families of Prince George’s County. 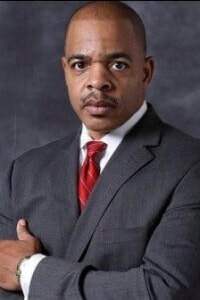 With his proven extensive history of effective leadership, which dates back to growing up in Glassmanor and being captain for the football teams at both Oxon Hill High School (OHHS) and Bowie State University (BSU).